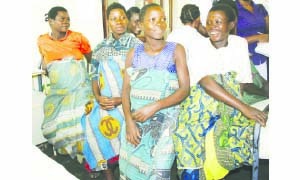 • SOME pregnant mothers in Ndola during an antenatal visit. ZAMBIA has for many years grappled with rising maternal deaths, which are compounded by high illiteracy levels among women, particularly in rural and peri-urban areas. However, the various strides being made by the Ministry of Health will, without doubt, lead to a downward spiral in the number of such deaths. The Copperbelt Province, which recorded 78 maternal deaths in 2018, down from 94 in 2017, is a good example of a region that has taken a leading role in promoting quality healthcare of women. Provincial health director, Robert Zulu says the establishment of a blood bank in Kitwe is a major step in ensuring that high quality healthcare services were taken closer to communities. Dr Zulu said in an interview that Kitwe Central Hospital was now a hub blood bank supplying all the districts in the Copperbelt Province. Maternal mortality refers to deaths resulting from complications from pregnancy or childbirth. Access to quality healthcare is a basic human right, and all countries around the world are implored to stick to this tenet. A February 2018 World Health Organisation (WHO) report indicates that 99 per cent of maternal deaths occur in developing countries. Women in developing countries have, on average, more pregnancies than women in developed countries, and their lifetime risk of death due to pregnancy is higher. Further, WHO observes that women in remote areas are the least likely to receive adequate health care. This is especially true for regions with low numbers of skilled health workers, such as sub-Saharan Africa and South Asia. Globally in 2015, births in the richest 20 per cent of households were more than twice as likely to be attended by skilled health personnel as those in the poorest 20 per cent of households. This means that millions of births are not assisted by a midwife, a doctor or a trained nurse. In high-income countries, virtually all women have at least four antenatal care visits, and are attended to by a skilled health worker during childbirth. Global health partners are working tirelessly to ensure that health services are improved and made accessible to everyone in developing countries. One such organisation is PATH, which has contributed a lot to quality healthcare service of women in Africa. In September 2017, PATH announced a new collaboration known as Advancing Maternal Immunisation (AMI) aimed at creating a roadmap to help infants survive and thrive by making immunisation available to pregnant mothers in low and middle-income countries. The collaboration is in partnership with WHO, and is funded by Melinda and Bill Gates Foundation where a vaccine to protect mothers during pregnancy is being conducted. The vaccine will ensure that mothers were protected from infectious diseases by getting vaccinated themselves, an option not used to its full potential in many parts of the world, especially in resource-limited settings where it is not readily available. According to PATH, the vaccine would help mothers’ protective antibodies to be passed on to their children, as that protects the baby from certain diseases for the first few months after birth. In addition, WHO observes that women in remote areas are the least likely to receive adequate health care. This is especially true for regions with low numbers of skilled health workers, such as sub-Saharan Africa, where millions of births are not assisted by a midwife, a doctor or a trained nurse. Dr Zulu said the Ministry of Health had embarked on crucial measures to ensure that deaths among pregnant women during childbirth were brought down. He said despite the drop in maternal deaths in the previous year, the Copperbelt Province health team was determined to further reduce the number. “The Copperbelt recorded 94 maternal deaths in 2017 compared to 78 in 2018, but as a province, we are not celebrating this record. “We would only celebrate if there was no death recorded. 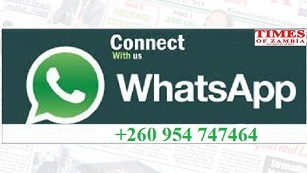 Our hope is to reduce the number by half in 2019,” Dr Zulu said. From the 94 cases of maternal deaths recorded on the Copperbelt, half of them were referral cases from health centres in peri-urban and rural communities. He said despite the fight against maternal deaths being formidable, the Ministry of Health would work towards finding lasting solutions. Among the leading causes of maternal mortality is bleeding during labour and after delivery. As a result, doctors and midwives seek to identify women at risk of bleeding to ensure that they were saved. Dr Zulu further said most women were at risk of contracting malaria during pregnancy, a situation that predisposed them to the danger of losing blood. Research shows that a pregnant woman who suffers from malaria develops iron deficiency. The body needs extra iron for the growing baby to have sufficient blood supply, alongside the required oxygen and nutrients. According to Dr Zulu, a reduction in the amount of iron in the blood lowers haemoglobin in the blood and affects the supply of oxygen to the cells. Oedema, a condition in which liquid collects in the spaces inside the body and makes it swell, is another target for the Ministry of Health. Pregnant women are prone to oedema due to high blood, but Dr Zulu said if that was treated early, death could be avoided. Additionally, some infections could be life-threatening for the mother and could lead to miscarriage, birth defects and other conditions, particularly in areas where women give birth or have a miscarriage outside a health facility. This is more so where there are no means to control an infection which may spread due to non-availability of antibiotics, gloves and other important requirements for delivery. Dr Zulu said the Copperbelt provincial health team had also responded to the maternal mortality burden by giving pregnant women tablets to prevent malaria and clear worms, besides administering folic acid to boost haemoglobin during the routine antenatal visits. For this reason, maternal mortality could be reduced if mothers visited health centres early, when they were in their first trimester. “Reluctance in seeking medical services due to personal beliefs has contributed to some of the maternal deaths. “These are challenges we want to address by working closely with communities to ensure that women visit health centres as soon as they are 12 weeks pregnant as this will ensure early detection of any problems by health workers,” Dr Zulu said. He said the ministry was aware about some areas in low-density urban communities where women were being attended to by unskilled health personnel and traditional birth attendants. “We are working with all stakeholders to create awareness through focus group discussions about the dangers of delivering outside a health facility,” he said. Similarly, the private sector has come on board to help train more midwives, while the Ministry of Health has employed more health personnel to plug shortages. The myth in some communities that health centres charge exorbitant fees for mothers to deliver their babies is also being addressed so that pregnant women’s lives are protected. There is no doubt, therefore, that with this broad approach, the Copperbelt Province is headed for a downward spiral in maternal deaths.